Very few pieces with this style of mount are known. A simpler example probably from the same workshop is in the Residenz, Munich, illustrated by Friederike Ulrichs, Die ostasiatische Porzellansammlung de Wittelsbacher in der Residenz München, 2005, p.68. We also know of two pieces of Du Paquier porcelain mounted in gold of striking stylistic similarity. A chocolate ensemble In the Metropolitan Museum of Art, New York (accession no. 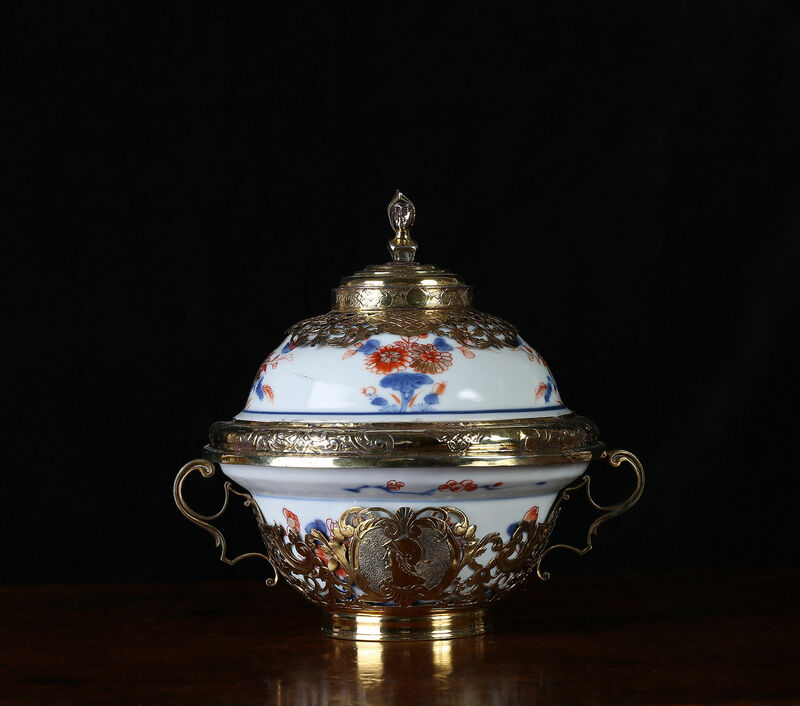 68.141282-284), and a Du Paquier mounted tureen and stand in a private collection. 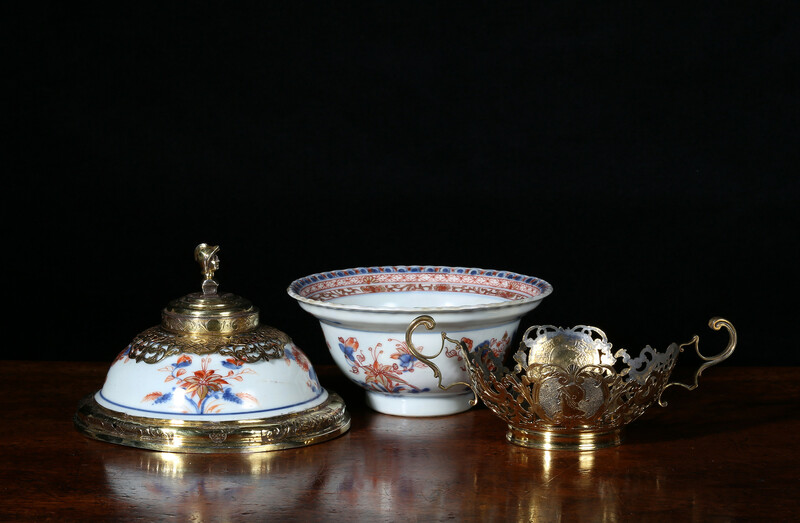 Both are illustrated in Fired by Passion: Vienna Baroque Porcelain of Claudius Innocentius Du Paquier, Sullivan Foundation, Vol 1, p 246, fig 3:21, ; Vol 1, p 248, fig 3:22.